I am writing about the Tourby Marine Arabic 43, even though it is not a new watch, because of its similarity to the IWC Portugieser Hand-Wound Eight Days Edition 150 Years released this year. The Tourby watch is not an imitation: this piece, along with the IWC watch, share the same marine inspiration, dating back to naval watches made from about 1918, in which Arabic numerals were used instead of the Roman numerals that were characteristic of marine chronometers. 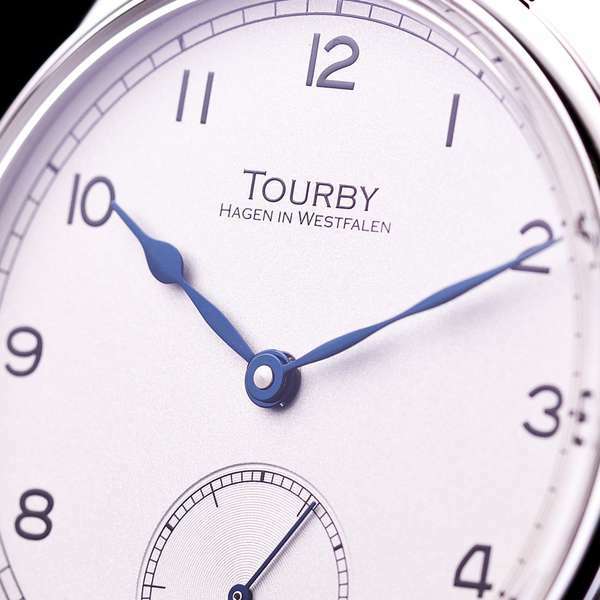 The Tourby Marine Arabic 43 has a dial in silver with a granular surface, providing an attractive contrast with the printed black dial markings and the characteristic hands in blued steel. 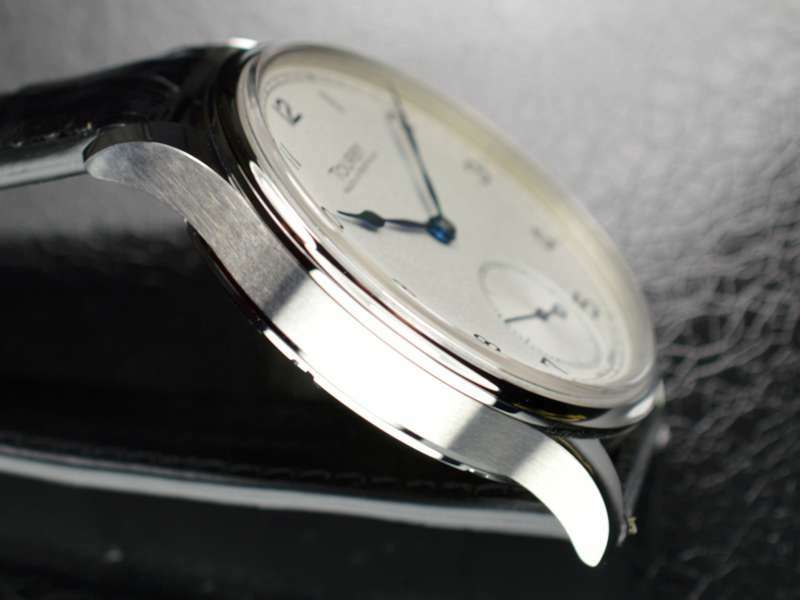 It is a large watch at 43 mm diameter, and it is fairly slim at about 10.5 mm. Water resistance is 5 bar, 50 m.
One of the features that makes the Tourby Marine Arabic 43 similar to the IWC Portugieser Hand-Wound Eight Days is that both have a pocket watch-inspired hand-wound movement. 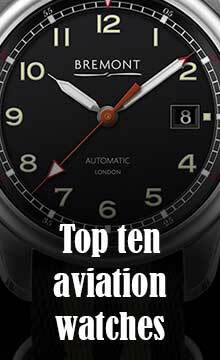 In the case of the IWC it is an in-house calibre, while the Tourby is fitted with the ETA Unitas 6498.1 movement, which runs at the traditional speed of 18,000 vibrations per hour, 2.5 Hz. It provides a power reserve of about 44 hours. Daily winding is facilitated by the large onion-shaped crown. 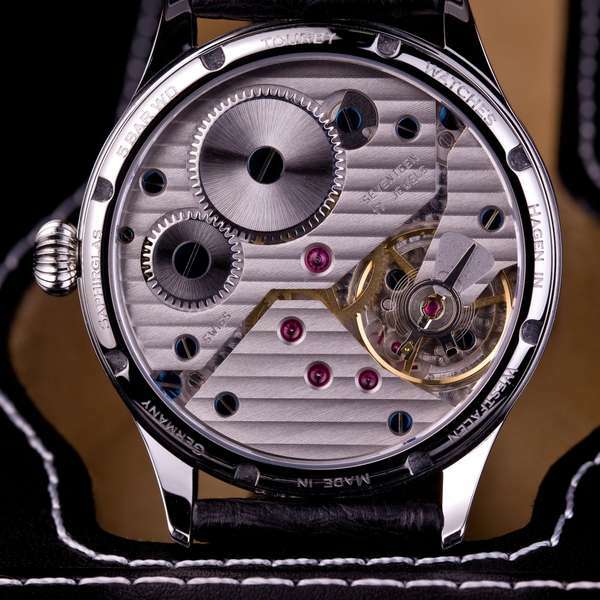 The movement is visible through the sapphire glass caseback and it is in itself attractive, with some of the jewels visible, and bridges finished with Geneva stripes. Tourby offer extra movement decoration that includes sunburst wheels and hand engraving, at an additional cost. 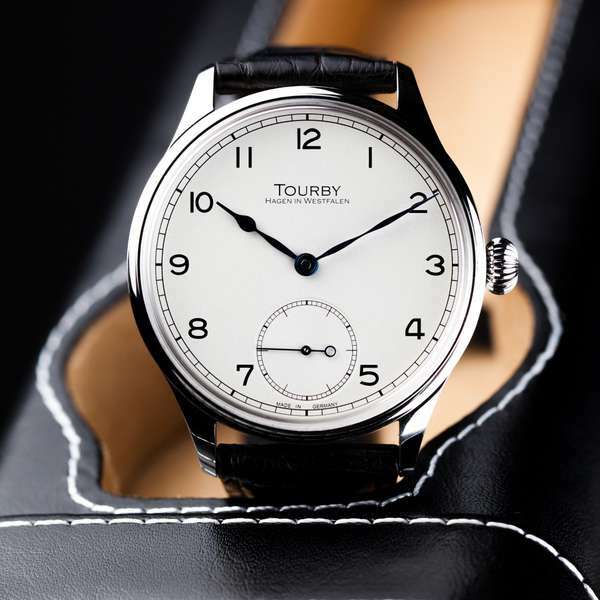 The Tourby Marine Arabic 43 is supplied with a Cordovan leather strap, or an alligator strap, and a leather case. 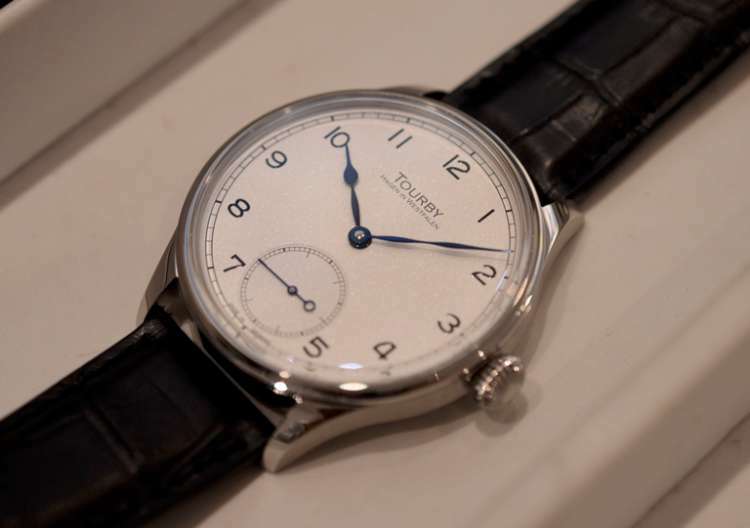 The Tourby Marine Arabic 43 with a Cordovan leather strap costs €1,325 plus tax, shipping included. It is available on request from the Tourby website, delivery time 2-4 weeks.